A few weeks ago, our friend brought a broccoli salad that he had bought at a deli to our apartment. It was delicious, and I knew that I had to try to create something similar myself. This version turned out quite well. I didn’t use much mayo because I don’t really care for it, but you could definitely adjust the recipe to use more mayo and less vinegar and oil. 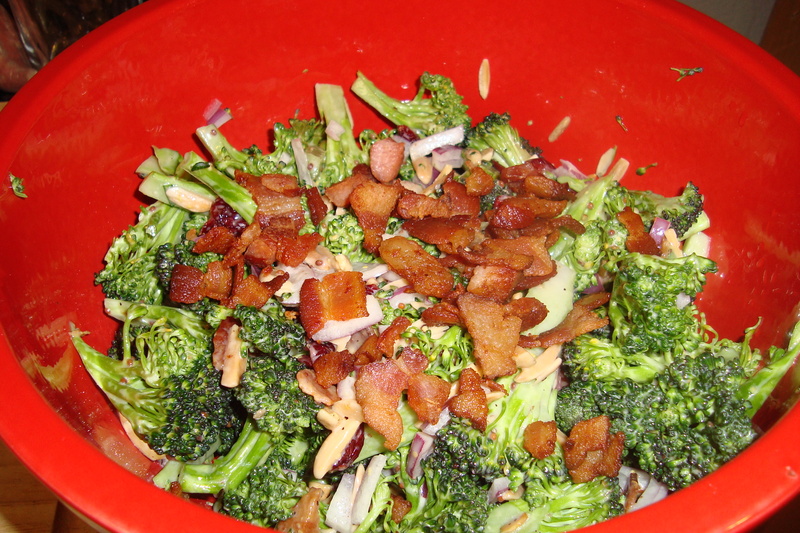 Combine the broccoli, almonds, cranberries, red onion, and 2/3 of the diced bacon in a large bowl. In a separate bowl, combine the mayonnaise, olive oil, sugar, vinegar, mustard, salt, and pepper. Taste the dressing and adjust seasoning. 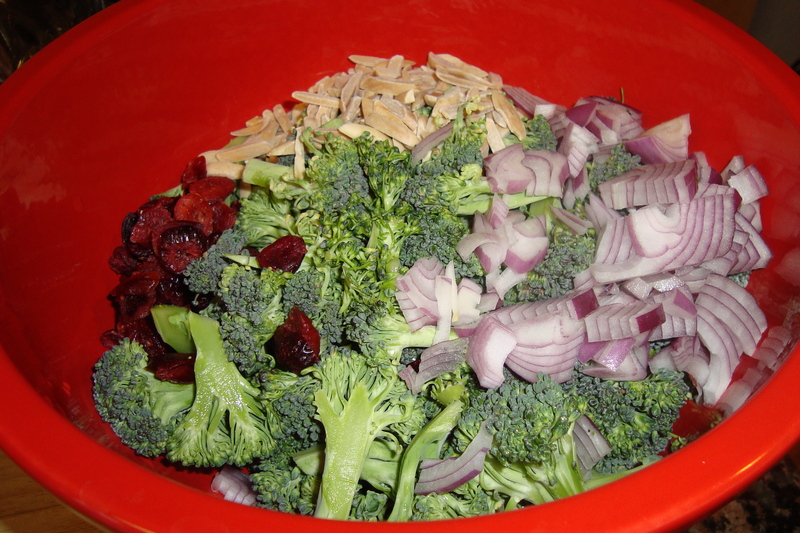 Add the dressing to the broccoli mixture and toss to combine. Garnish with the remaining bacon.